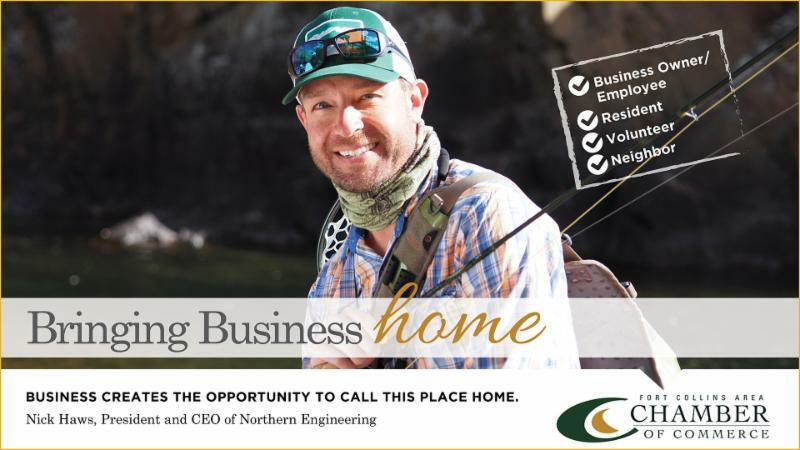 Under the ‘Bold Voice of Business’ goal of Northern Colorado Prospers is a strategy to ‘maintain communications with the public that emphasizes the important of business to a strong quality of life.’ To that end, the Chamber has launched Bringing Business Home . The focus of this public campaign is to create a greater awareness and understanding of the Fort Collins business community. By featuring Chamber members and their businesses, we hope to help make the connection between business success, economic vitality of the community, and our ability to afford great public quality of life amenities. As defined in the campaign messaging, Northern Colorado is a special place. Natural beauty, great climate, excellent education, vibrant recreation-we’re privileged to have it all. Local employers make it possible for us to live and raise families here. You’ll find them nurturing community both within and outside their workplaces. Meet a group of proud Northern Coloradans committed to Bringing Business Home. The Chamber’s campaign partner, Jet Marketing has helped capture and present these business stories. You will find them in the paper, online, on the radio and pictured on one of the most visible billboards in Fort Collins.